The infrastructure, mining, construction, building and trades industries all across Australia are heavily dependent on pipes of all kinds including concrete pipes, corrugated pipes, aluminium pipes and steel pipes. Pipes that are used for drainage, sewerage and mining are heavy, long and difficult to move. It takes a skilled heavy hauler to load and unload pipes to construction, mining, agricultural and building sites. Pipes are shifted throughout Australia, both interstate and within metropolitan areas. As pipes play an integral part of helping these industries to grow and develop every day, it’s important to ensure your pipes are delivered in a timely manner and by reliable transporters. Get quotes for pipes transport today! Get 3 Quotes for transporting pipes. It’s free to request quotes. Steel Pipes: Steel pipes are some of the heaviest and largest pipes used on construction sites which creates a major logistical challenge for relocating oversized loads. Cranes or a crane truck must be used to lift larger pipes for delivery and it’s beneficial to have a pipe cradle support to secure the load. Smaller steel pipes used in plumbing and on building sites can be moved in bundles by a pipe transport company onto the back of a flatbed truck or trailer. Plastic/PVC Pipes: Most commonly used in the plumbing industry, PVC plastic pipes and fittings are strong yet light weight. Depending on the length of the PVC pipe, bundles can be strapped by a pipe transport company to either a flatbed of a semi-trailer or a standard truck or trailer. For smaller loads for local jobs, you can find transporters with a Ute or van who are looking to deliver plastic PVC pipes in metropolitan areas. Pipe floats: There are many industries which utilise pipe floats, such as mining and water treatment facilities for dredging. They are often transported long distances, both locally and interstate. You’ll need to find a reliable and professional pipe transport company to shift pipe floats from one project or site to another, or deliver directly from pipe float suppliers. Aluminium Pipes: These pipes are shipped for both commercial and residential building and construction purposes. Aluminium pipes are light weight and able to withstand high temperatures. You can find pipe transport companies who deliver locally in metropolitan and regional areas and interstate. Galvanised Pipes: Galvanised with a zinc coating, these pipes are commonly delivered for plumbing purposes for industrial and residential properties. Galvanised pipes can be bundled and loaded to a flatbed trailer by a pipe transport company but may require a pipe cradle for transit due to the steel material and size of the pipes. Due to the weight of the steel, galvanised pipes may require a crane to load and unload onto the truck but this can be arranged with the pipe transport service. Irrigation Pipes: These pipes are most commonly used on rural properties for farming and agricultural irrigation. Irrigation pipes are also delivered to building and construction sites in residential areas. Finding a reliable and trustworthy pipe transport company for irrigation pressure pipes is essential as these pipes play an integral part for agriculture and other industries. 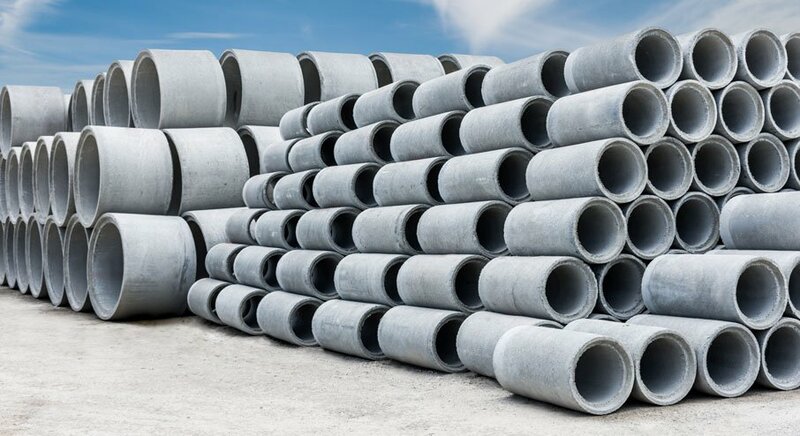 Concrete Pipes: Concrete pipes are for drainage and sewerage and are the heaviest pipes that are delivered across Australia. They’ll require a crane to get them on a pipe transport company's flat bed trailer and often require a cradle designed for concrete pipes to prevent movement during shipping. Whether it’s interstate or just from a supplier down the road, you’ll need to find a concrete pipe hauler who is experienced with relocating concrete pipes. Poly Pipes: Poly pipes are used for sprinklers and irrigation and can be extremely large when used in industries such as mining. As they’re strong yet flexible, they can be loaded and moved with an excavator for mining or a forklift for shorter and smaller pipes for the pipe transport company. Flat bed semi-trailers are usually used for mining and large construction poly pipes, but a standard flatbed rigid truck can be used to move smaller loads. Corrugated Pipes: Manufactured for sewerage and storm water drains, corrugated pipes are shifted both intrastate and interstate. Larger corrugated pipes are lighter weight than a steel pipe, so they won’t require the pipe transporter to provide a pipe support for transit, as they can be strapped to the trailer or truck to prevent the load from shifting. For smaller corrugated pipes that are wrapped and bundled, you might find a pipe transporter with a Ute or van who can take your load. Whether you’re a local plumber or a Project Manager, you’ll need to have pipes transported to building, construction and mining sites for sewerage and drainage on a regular basis. FreightQuotes will connect you with the right pipe transport companies to shift your load and completely free to list freight and simple to use. Go through to the quote form for pipe transport and enter the details of the pipes you need shifted with some details on diameter, length and type of pipes. Your request is sent to the pipe transport companies listed with FreightQuotes and up to three of these truckies will contact you with quotes on your job. Get your 3 quotes today! Pipe transport is available Australia wide. This includes interstate, regional and metropolitan freight covering all states and capital cities including Adelaide, Brisbane, Perth, Darwin, Melbourne, Canberra, Hobart and Sydney. Need quotes for heavy equipment transport, building materials transport or relocation of palletised freight?